Alrightythen. 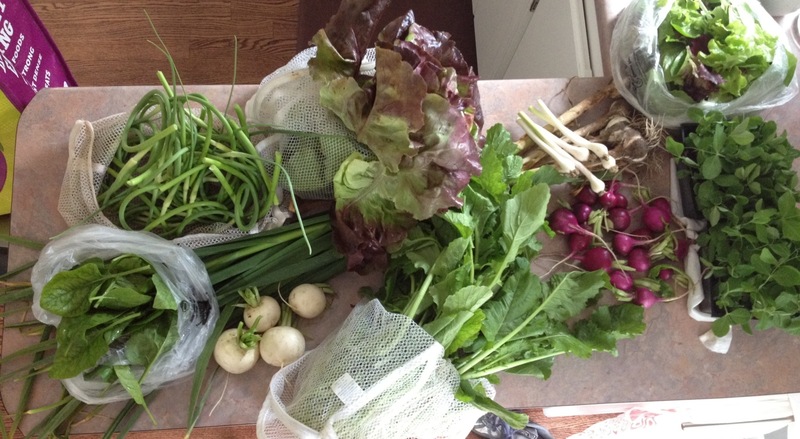 Super quick catch up–mostly photos–of our veggie CSA from Casey Farm. I posted about the first week, but then not about the others. Oops. Bad blogger. Bad! 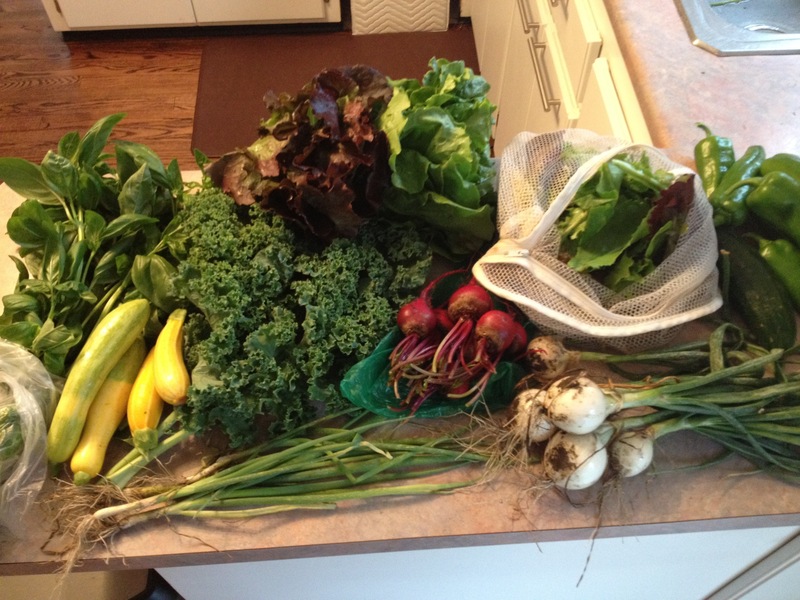 Lots of greens, alliums, cucumbers, and the start of squash-o-rama. 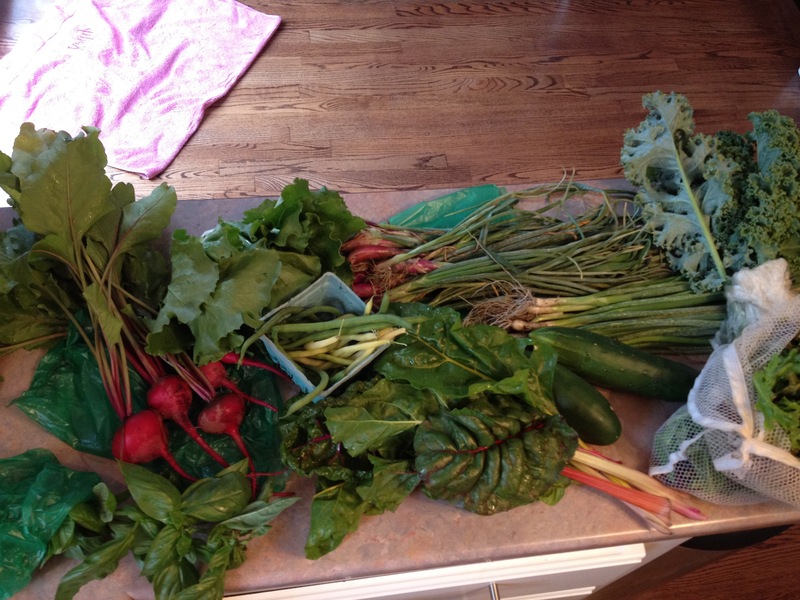 And beets galore. There are times when we eat all of it, and times when we forget and have wilty or dried stuff lingering in the fridge. Last year, I was a hot guilty mess about waste. Now? Not so much. Enter: the compost bin. We bought a unit at Lowes or HD, and paired with a pail under the kitchen sink, we are able to usefully dispose of scraps and leftovers, sans guilt. 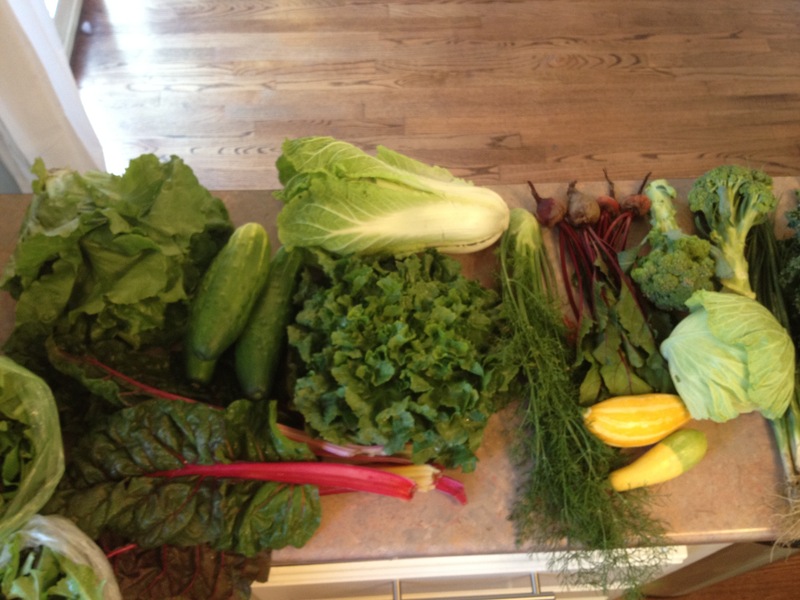 Hopefully I’ll be better about weekly CSA posts going forward. I’m doing the Casey Farm pick up this week, so I promise pictures of that. Composting does eliminate guilt, doesn’t it? I also make vegetable stock every couple of weeks by throwing in what I didn’t use and peelings and onion tops. It freezes well.